Web-design and standards of a good-looking website have been subjected to significant changes during the past decade. No one uses Times New Roman or (God mercy!) Comic Sans fonts on their websites anymore, do they? Blinking banners in colors of toxic waste and left-sided navigational panels with a thousand of links seem to have passed into oblivion too. But even if you’re lucky enough to drop in a site that looks like an iconic example of 2000’s web style, the first question that comes to your mind is “Does this thing still work?”. Of course, aesthetic preferences and fashion -- even history -- are periodic phenomena. Apple Inc. got gradients back into the design (a pinnacle of a bad taste became a #1 trend) and GIF image format, like a phoenix, has returned from ashes after 15 years of baiting. However, there are certain features in web-design that (we almost sure about it!) have had their days and need to go without ever returning back again. We decided to accelerate this process and made a list of 6 outdated design elements that may still be on your online store and perceived by millennials like a 65 y.o. neighbour who still wears his bell-bottoms. 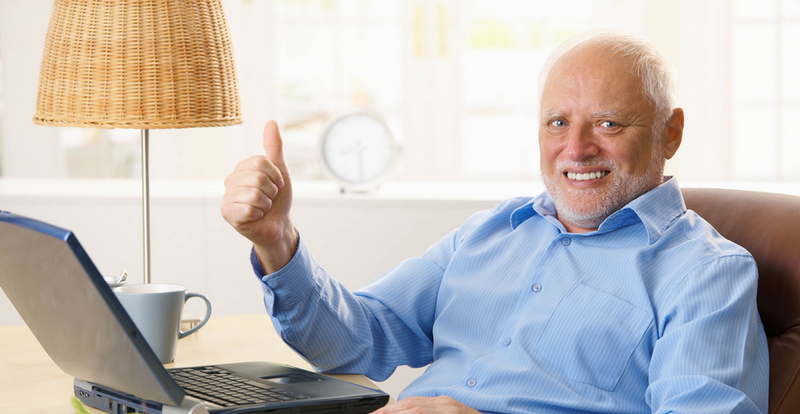 What’s wrong with stock photos of cheerful people in business suits showing their thumbs up? They’re fake, silly and overused. Anyone who’s familiar with modern office life knows that serious business guys don’t practice smiling and staring into their monitors too often. Photos are great to convey ideas and emotions, but an eerie looking salesperson gazing right into your soul instead of inspiring trust does quite the opposite. Various companies used to pack their websites with these cliche photos so excessively, people become intolerant to them and don’t want to see those ever again. And if they do, it’s a first sign a website might be a scam. To avoid using photos that don’t look real and, if the budget allows, invest into a professional photographer instead. 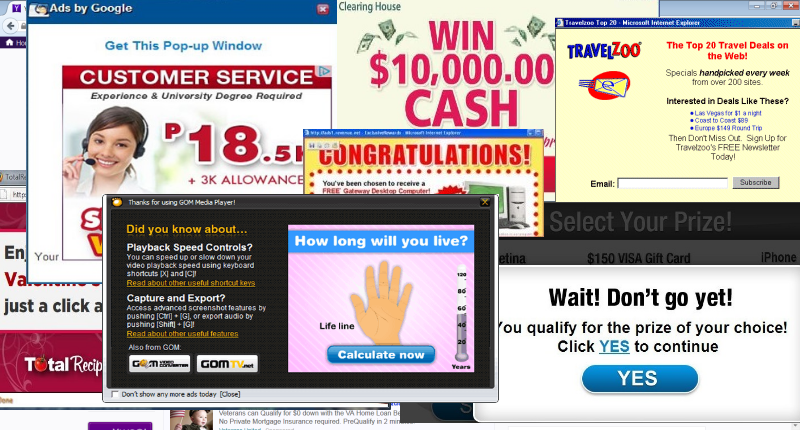 If stock photos are annoying, pop-ups are frustrating. So, you’re peacefully reading something or searching for this or that product BAM POP-UP FROM STRAIGHT HELL COVERED AN ENTIRE PAGE WITH MESSAGE YOU DON’T EVEN CARE ABOUT and a teeny-tiny “Close” button in the corner of a window to close it. The suffer doubles when you’re trying to close it on a mobile device. Ever experienced that? These things are distracting and drive away users’ interest. Sure, marketers would argue on that, but we, average users, wish these poppers gone forever. We believe everyone who had an experience using the internet in early 2000’s has warm memories associated with Flash: games, once super popular greeting cards, web cartoons… All these were built with Flash technology, owned by Macromedia and acquired by Adobe at one point. However, even though nostalgia might be heart-warming, nowadays Flash is a big no-no, successfully (and hopefully forever) substituted by HTML5. Flash-based websites take way too much to load (because they’re heavy), completely incompatible with mobile platforms, require additional software installation (Flash Player), etc. Moreover, by modern standards, they don’t seem to look that beautiful as it appeared back then. If arguments above haven’t convinced you to get rid of this rudimentary technology, what if we say that Flash is not SEO-friendly? Once a popular trend, carousel sliders have not only proved to be non-effective but now associated with an era of 2MBps internet. Normally, you get only a few secs to catch users’ attention. If the needed information is on a second or third slide, most likely they won’t see it at all. Instead, convey a message with one powerful image properly placed to get into a sight of a user immediately after entering a website. In an introduction to this article we expressed our hope that no one uses Times New Roman or Comic Sans anymore. However, if we turned our to be too naive, and you’re the one who’s still using these or any other poorly readable fonts, on behalf of an entire internet community we’d ask you to stop. 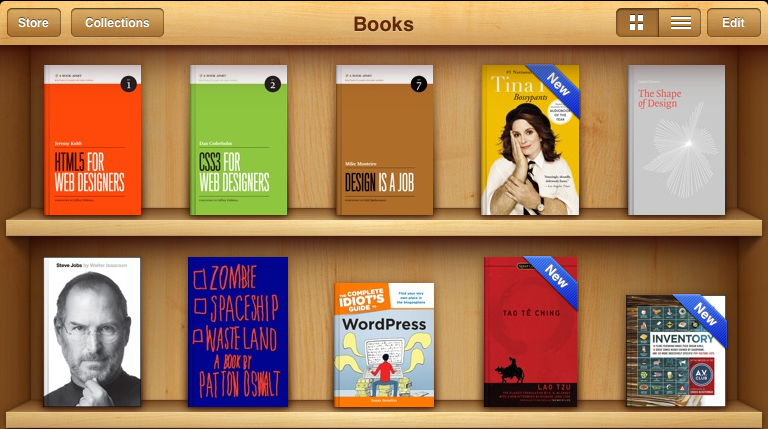 Flat, clean fonts with minimum unnecessary curves and twists is what looks good and what people want to read. Reading text from a bright monitor screen or 4.7” smartphone display covered in fingerprints is already a challenge for your eyes. Making things worse by using weird looking but “stylish” fonts would be cruel. Also, ensure there are not more than 3 different fonts on your website: the more there are, the less consistent your online store looks. Skeuomorphic design refers to design elements that try to imitate real-life objects. At a time, when lots of people were still vaguely familiar with user interfaces, Apple popularized it making skeuomorphism an industry standard for quite a while. However, now when the displays are sharp and users are smart, all the reflections, textures and shadows on interface elements are excessive. The design of your website and online store is what can stimulate sales or do the opposite. The safest way to ensure your shop has a good design (with not much experience needed) is to purchase a decent template and customize according to your needs. However, if your current online retailer doesn’t provide you with many choices, it’s a good reason to refresh your design AND your shopping cart by moving elsewhere. Hopefully, Cart2Cart makes re-platforming easy. Just like anything else is our fast-pacing world, the sense of beauty is not permanent. If an ideal woman in the epoch of Baroque resembled a big chunk of fat ham wrapped into 5 feet of heavy fried bacon, an ideal woman of modernity looks more like a poor creature suffering from malnutrition and parasitic infection. But that’s another story. What other outdated design elements you know store owners still tend to utilize? Share your thoughts in the comments section below! 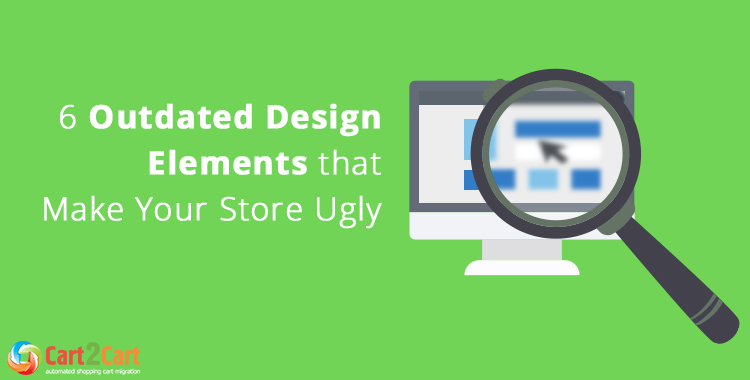 0 thoughts on "6 Outdated Design Elements that Make Your Store Ugly"